”Filmstaden in Råsunda was like a factory, during the 40´s it produced between twenty and thirty movies a year. 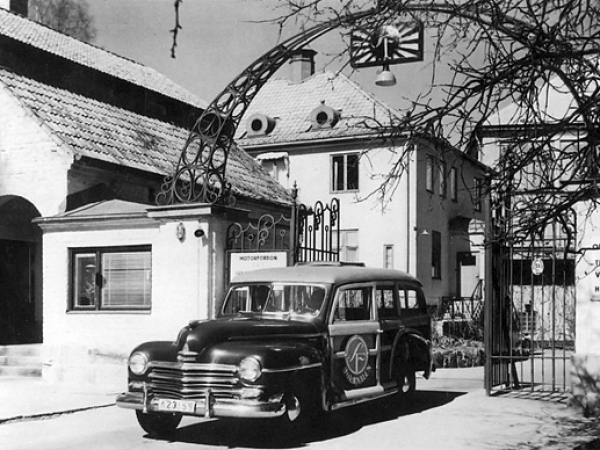 It had a huge workforce of skilled people, a tradition of craftsmanship, procedures and bohemianism.” – Ingmar Bergman´s words about Filmstaden. Before Filmstaden was established, the area used to house an ostrich farm. This was in the early 1900’s. 58 000 square meters of land, or ten football fields, was dedicated to ostriches. Because of the prevailing ladies’ fashion the plume production was expected to hit the roof. But the farm went into bankruptcy in 1912. The Swedish movie history begins with Svenska Bio (Swedish Movies) in the early 20th century. Charles Magnusson and his crew managed to attract foreign movie experts to Sweden. Their studio in Lidingö rapidly developed into a unique and vital school of filmmaking. In 1912 Mauritz Stiller and Viktor Sjöström were contracted as directors and Julius Jaenzon as photographer. During the First World War film studios across Europe were heavily reduced. This opened up the market for Swedish films, which induced the Swedish tycoon Ivar Kreuger to join Svenska Bio. 1917 is an important turning point in the Swedish movie history. Victor Sjöström´s movie Terje Vigen had become a huge international success. It marked the beginning of Sweden’s era as one of the leading countries of the international movie business. Svenska Bio needed bigger and more modern production facilities. Now they also faced a new competitor. The newly formed film company Scandia wanted to take advantage of the huge foreign interest in Swedish film. The abandoned ostrich farm in Råsunda turned out to be perfect. Svenska Bio bought the land in February 1919 and Ebbe Crone designed the new studio facility. 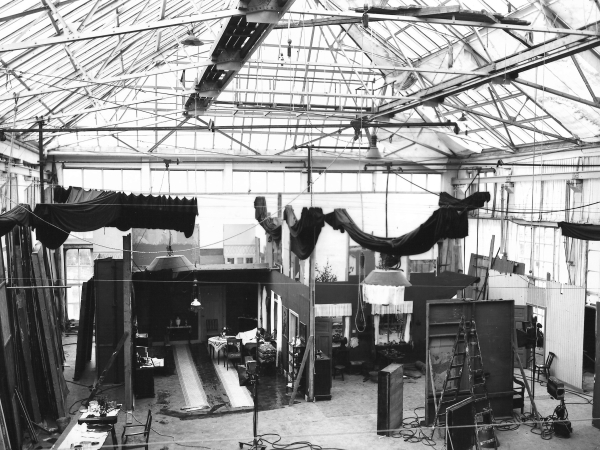 Inspired by German studios, he constructed similar steel constructions for the Filmstaden studio roof. Kreuger & Toll Limited was contracted to build the new facilities. Filmstaden had not yet been officially opened when The Swedish Film Industry (Svensk Filmindustri = SF) was formed at the prompting of Ivar Kreuger. SF was born in December 1919, through a merger between Svenska Bio and Scandia. Both companies had recently invested large sums of money and now found themselves in financial difficulties. The First World War was over, and the audiences seemed to prefer the more light hearted entertainment movies from Hollywood. The shooting of Victor Sjöström´s film The Phantom Carriage (Körkarlen – the script was based on a story by Nobel Laureate Selma Lagerlöf) began before the studio was even finished. The exterior set was built just outside the studio. The highly advanced trick filming using double exposure was something new, and quickly opened the world’s eyes to the Swedish movie art. Filmstaden was inaugurated in 1920. A young girl by the name of Greta Gustavsson got her first big part in Mauritz Stiller’s famous film, Gösta Berling´s Saga, by Selma Lagerlöf. 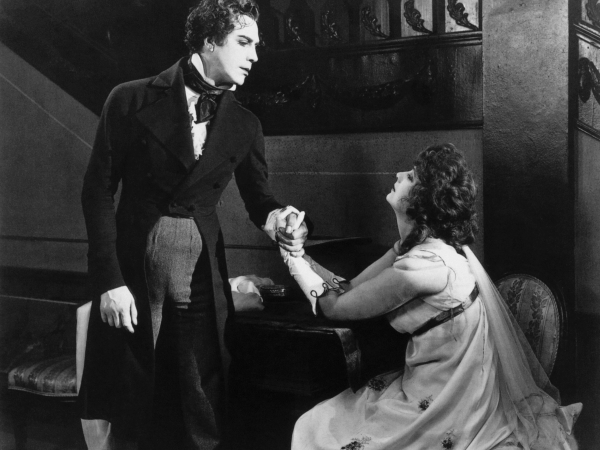 At this time, Sweden was a leading producer of silent movies. The world-renowned directors Mauritz Stiller and Victor Sjöström were soon recruited to Hollywood. The shooting star, Greta Garbo, went with them. When Stiller, Sjöström and Garbo left for Hollywood, the first great era of Swedish film ended. The talkies became a huge hit in the 1930´s, but the Swedish movie industry was facing a crisis. The population, out of work and out of money, could not afford to go to the movies, and the ones who could, preferred happy and uplifting movies. That did not leave much room for the famous Swedish innovative metaphorical film language. 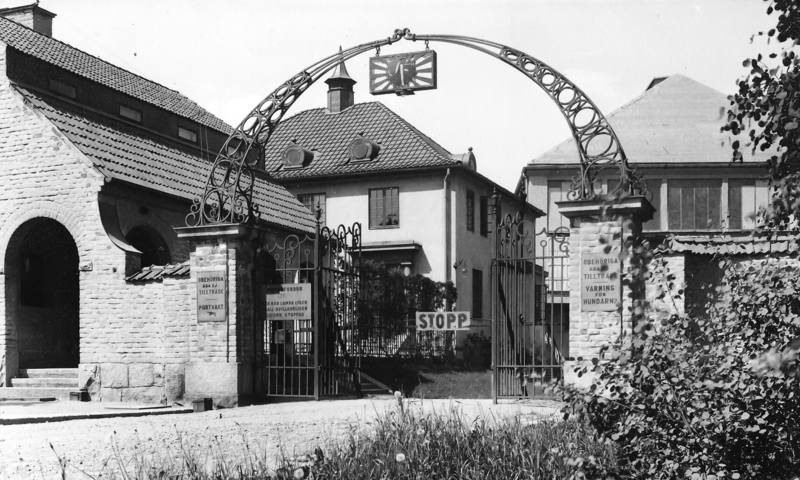 The first Swedish talkie was recorded in Filmstaden in 1929. Say it with music (Säg det i toner) with Elisabet Frisk and Håkan Westergren. It was followed by mass-produced so-called ”pilsner movies”, easygoing comedies in elegant prosperous environments, with actors such as Tutta Rolf, Sickan Carlsson, Nils Poppe and Anna-Lisa Ericson. 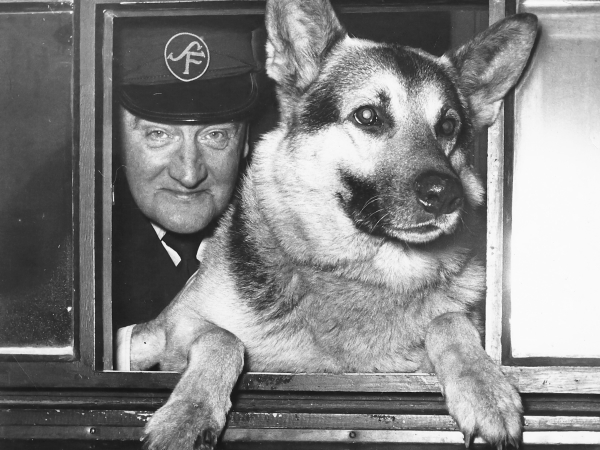 But the 1930´s also brought something glorious. This was the decade when Ingrid Bergman made her debut, when Gustaf Molander and Åke Dahlqvist enjoyed their days of glory and when the movie Intermezzo was shot. It is an era well worth to be rediscovered! Ingrid Bergman made her debut in The Count of Munkbron (Munkbrogreven) in 1934. She got her big break in Intermezzo (1936), co-starring with Gösta Ekman. She later did a remake of the same movie in Hollywood, with Leslie Howard as co-star. When Bergman wrote a script about his fear of death, it resulted in The Seventh Seal (Det sjunde inseglet) in 1957. It was recorded in 35 days in Råsunda. The image above shows the burning of witches and if you look carefully, you can see modern buildings in the background. The 1940´s were yet another golden era for the Swedish movie industry. 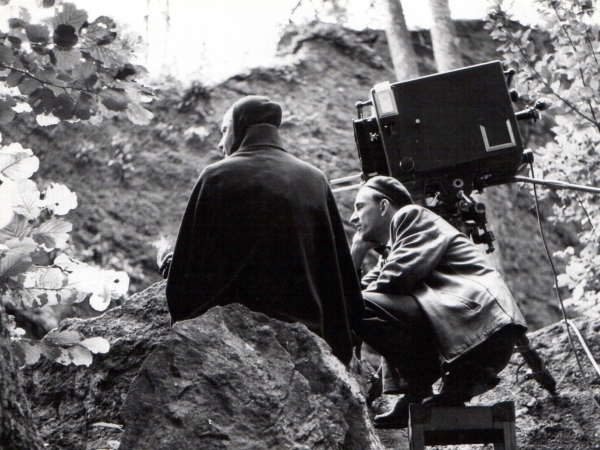 Ingmar Bergman made his debut while Hasse Ekman, Gustaf Molander and Alf Sjöberg renewed the cinematic story telling. SF was one of the innovators in the international world of cinema. The biggest blockbuster during the 1940´s was Torment (Hets 1994) by Alf Sjöberg. Ingmar Bergman wrote the script. At the time, he was one of six so called ”Script slaves” at the Swedish Film Industry, transforming novels and short stories to scripts. Bergman´s first own movie was Crisis (Kris) in 1945. Later he called it a total disaster, at the time he behaved badly and was fired from Filmstaden, forbidden to ever come back. Obviously, he did… Bergman was allowed back after a couple of ”training” movies. During the 1950’s and 1960’s he directed one success after another. His first international success was Wild strawberries (Smultronstället) in 1955. A year later his movie Smiles of a summer night (Sommarnattens leende) was awarded the Golden Palm in Cannes. Bergman´s long collaboration with the cinematographer Sven Nykvist resulted in many wonderful movies. The closeups and the simple lighting became their trademark. The 1960´s was an era of new technology in the movie world, the so-called ”New Wave”. The directors wanted to leave the studio and film in the real world. The cameras were smaller and more advanced, which made it possible to film in authentic environments. The studios at Filmstaden had suddenly become too large, and the technical devices were out of date. The increasing noise from the traffic along with the adjacent construction of buildings was a constant disturbance. The last films ever shot in the studios at Filmstaden were Pippi Longstocking and Bergman’s The Touch (Beröringen). Around 400 movies have been shot at Filmstaden. Almost all of the historically important directors and actors have worked at Filmstaden, such as Alf Sjöberg, Arne Sucksdorff, Hasse Ekman, Ingmar Bergman, Jan Troell, Hans Alfredson och Tage Danielsson. SF left Filmstaden in 1969 and moved to new and smaller premises in Stocksund. Only SF´s Filmteknik and AB Filmlager stayed. The state acting school, Statens Scenskola, rented the premises for a couple of years, and in 1971 Riksteatern, the State Touring Company, moved in. The Small Studio was turned into a theatre studio. The State Inspection of Explosives rented the old film laboratory, once used as storage facilities of the highly explosive nitrate film. The rest of the buildings were rented to teenage bands, artists, etc. In 1990, Skanska bought the land. The plans to build flats were interrupted by an economic crisis. The area, however, was still bubbling with creativity. The association Preserve the Old Filmstaden (Bevara gamla Filmstaden) protected the area from demolition. The restaurant Backstugan got a new restaurateur and the creative atmosphere attracted many small film production companies. In 1994 facilities were let to production companies and artists again. Movies were shot in the studios: Illusions, The Glassblower’s Children, Tic-Tac, Veranda for a tenor, Bert – the last virgin and The archipelago doctor. The last movie was shot in 1999. A little Christmas Carol is still shown on television every Christmas. The large storehouse, the garages and the Big Studio were demolished in 2000. HSB, a cooperative association for housing, built apartments and offices on the land. The buildings that were left were listed as protected national monuments, and restored. There is a will to preserve the most interesting buildings from the 1920´s, as well as making room for new constructions and media companies. Seven new blocks with a total of 599 condominiums have been built. The Big Studio (Stora ateljén) has been converted into offices and SF has returned to Filmstaden. Twentieth Century Fox and Universal have joined them. The organization Filmregion Stockholm-Mälardalen started at Filmstaden in 2008 (Filmregion Stockholm-Mälardalen). Their aim is to stimulate and support the creation and preservation of a viable movie industry in the region. The film has returned to Filmstaden!